Winter is a tough time for both horses and their humans. 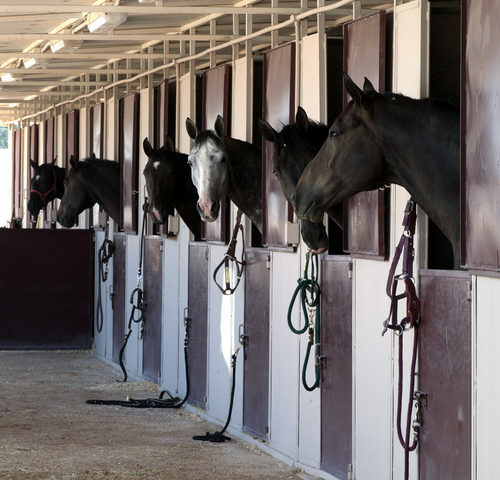 Unless you’re lucky enough to live in a mild climate or have access to an indoor facility, you may not be riding as much, and your horse will have to weather the storms, so to speak. Here are a few winter horse care tips to keep your horse safe, healthy, and, most importantly, happy, all winter long. Horses naturally tend to drink less when it’s cold, but plenty of water is the best way to prevent colic in the winter. Horses tend to drink less when they have only icy water at their disposal, so you can encourage them to drink more by warming it. If installing a tank heater isn’t an option, try pouring a bucket of hot water into the tank a couple times a day. 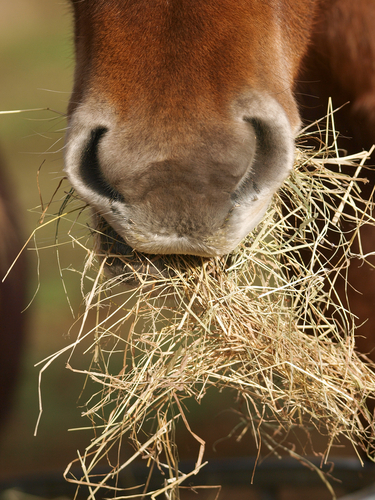 Salt licks in the paddock or salt mixed in with the feed are also good ways to encourage reluctant horses to drink. If you find your horse is dropping weight in the cold, you may have to feed him extra, both to put the weight back on and to give him additional calories to burn. Even if his weight is fine, feeding extra for extreme cold provides extra calories to burn for heat, without cutting into what he needs to maintain his weight. In most typical climates, you’ll want to increase calories, particularly forage and slow-burn calories, if the temperature dips below 15 degrees. In warmer climates, this threshold may be higher. Blanketing is a hotly debated subject in the horse world. It’s generally owner preference as to whether a young, healthy, fuzzy horse gets a blanket, but there are some instances where a horse needs a blanket in cold or wet weather. Additionally, you might want to blanket for wet or extremely windy winter weather if your horse doesn’t have access to a shelter to keep him dry and out of the wind. In snowy and extremely cold weather, shod horses especially are in danger of developing ice balls on the bottoms of their feet, making walking treacherous and increasing the chances of injury. Tricks such as greasing the underside of the hoof reportedly don’t work well, although there are snow pads your farrier can install to prevent snow balls from forming. At minimum, you should check your horse’s hooves daily, and use a hoof pick to loosen snow and ice. Winter can cause horses to go a little stir crazy, just as it does with people. Even if the weather is too cold, wet, or snowy to ride much, take advantage of the nicest days to do what you can. Even if you only go for a leisurely walk together, your horse will appreciate the exercise and the mental stimulation… and chances are, so will you. If you have more questions about your winter horse care plan, your vet is the best resource at your disposal, and can advise you on everything from how much extra to feed to whether your horse really does need a blanket. 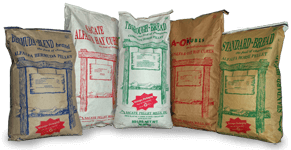 For more information about complete pelleted feeds and how they can make winter horse care easier, contact Sacate Pellet Mills at 602-237-3809.